Freed from the constraints of the White House, former President Barack Obama surfed up a storm — on a kiteboard. 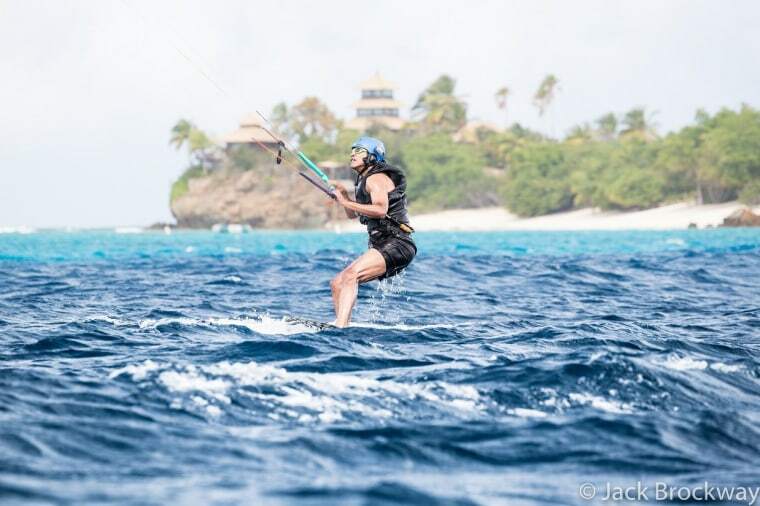 Obama tried out the water sport, which is a cross between surfing and paragliding, while on vacation in the Virgin Islands. His partner in fun was British businessman Richard Branson and the carefree grin on Obama's face in newly released photos from their aquatic adventure speaks volumes. "One of the first stories Barack told me when he and Michelle arrived on Moskito Island was how, just before he became President, he had been surfing on a dangerous break in Hawaii," Branson recounted on his blog. "When he came in from an exhilarating session, the new head of his security team turned to him and said: 'This will be the last time you surf for eight years.' For the next eight years he didn't have the chance to surf, enjoy water sports or do many of the things he loved." Obama, who learned to surf while growing up in Hawaii, and the former first lady, were flown by Branson to the island paradise for their first post-White House vacation getaway. Ever the competitors, Obama and Branson threw down the gauntlet — the ex-president would learn to kite surf and mogul would master the foilboard (a surfboard with a hydrofoil that allows riders to glide over the water). "We agreed to have a final-day battle to see who could stay up the longest," Branson wrote. Branson admitted they both struggled to get the hang of their respective sports. And on the appointed day, the adventurous Brit said he was feeling good when he managed to ride his foilboard for about 50 meters, some three feet above the water. "I was feeling very pleased with myself, only to look over and see Barack go 100 meters on his kiteboard!" Branson wrote. "I had to doff my cap to him and celebrate his victory."